There you are ... a week or more away from your first open house. You may or may not be there on the day of the open house depending if you have hired a real estate agent or not. But one thing is certain is there is work to do on your part to prepare for the open house and make it successful. You know the house has to be clean, organized and in good working order. This is fairly general and you may wonder if there are tricks that you can use to give your open house the extra edge it needs to compete with other homes for sale in your neighborhood. Yes there are! Promoting the open house is key especially when it comes to attracting the right kind of buyers for your home. You do not want lookers (or curious neighbors) walking through your home but quality potential buyers who are truly interested and ready to make an offer. The "promoting part" of an open house should be left to your real estate agent who has the experience, connections and know-hows. It is in their best interest to generate qualified traffic during your open house since they typically only make money after they have sold your home. Today we want to focus on what you can physically do to prepare your home so that it shows its best features to the prospective home buyers on the day of your open house. Everything should be clean! 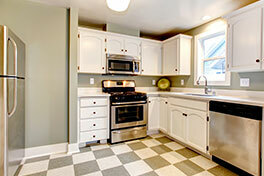 Counters, closets, cabinets, surfaces, and most importantly floors. If you have carpet, have it clean the weekend prior and vacuumed the day of the opening. The floors are the most visible part of your home interior so making sure it is 100% clean is crucial to creating that first positive impression for your potential buyers. Pack up most of your personal items and store them in a different location or garage if you do not have another place to store them. If you have a lot of items, renting a storage unit for 90 days may be worth doing and often times affordable (check our mail-in coupons you receive frequently). Keep the minimum needed to live for the next month or so. This applies to kitchen utensils, seasonal decoration, clothes, shoes, keepsakes, etc. Remove extra furniture that make rooms look cramped and small. If you have two sofas and an armchair, consider keeping only one sofa and store the other pieces. You want your visitors to have space to walk around and also imagine their own furniture into your home. It is difficult for one to envision this if there are tons of furniture, personal mementos, and items in every room. 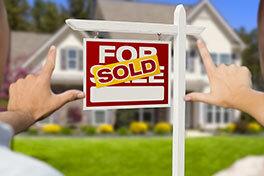 Many real estate agents recommend to remove your personal photos. 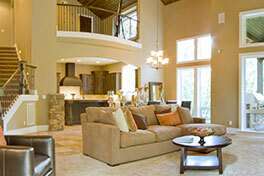 We think it is good not only to depersonalize your home but also for safety reasons. If you have frames on the wall and you think it may look odd with them, simply print nice neutral/decorative images on your printer and place the print in the frame on top of your family photos. Once you have found a buyer, you can simply remove the print to reveal again your photos. If you have area rugs, you should remove them to show off the floor unless there are issues with the floor. This alone will make the room look larger. Some aromas are very nice to have when walking into a home for the first time: Coffee in the kitchen, floral scent in the bathrooms and bedrooms, cleaning product scent in the garage, etc. Freshly cut flowers always work well to create a magazine high end look. Have a bouquet in various rooms of importance such as the living room, kitchen, main bathroom and master bedroom. Choose different arrangements with colors that compliment the decor of the room. Lighting can also transform the mood. Often times, turning on all lights during the open house will make a big improvement in your home. Make sure that you do not have missing or expired light bulbs and that visible light bulbs (example: in a chandelier) are matching. Open the curtains if the view outside is part of the selling points of your home. Remember that all of this is just temporary until you find a buyer but every step you take to prepare your home for your open house may be the difference between a somewhat interested buyer and a motivated buyer ready to make an offer on that same day. We wish you great luck and success on your open house! For more on Bathroom Staging, click HERE. For more on Curve Appeal, click HERE.